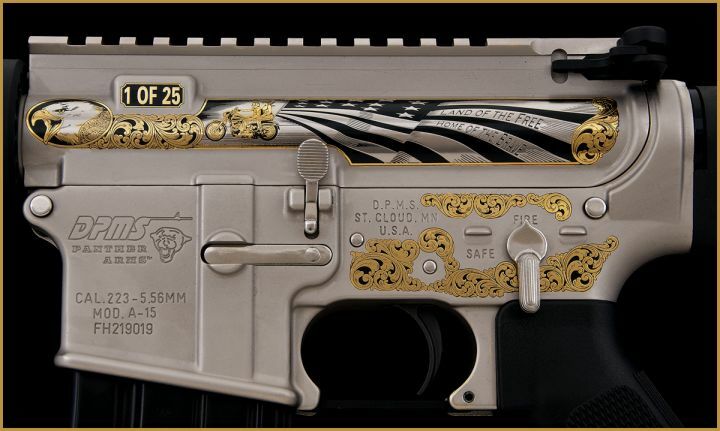 2nd Amendment | Custom Patriot Firearms | Inventory | A&A Engraving, Inc. Proof is available for purchase. Finish: 24K or original blue available. 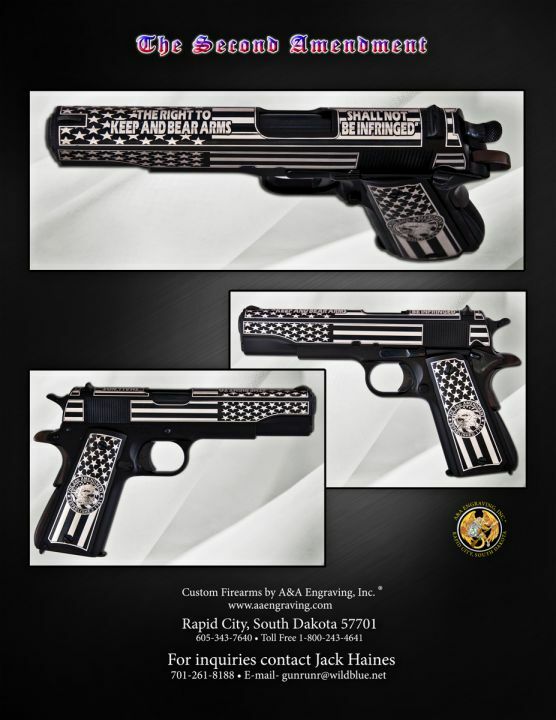 Custom metal engraved grips included. 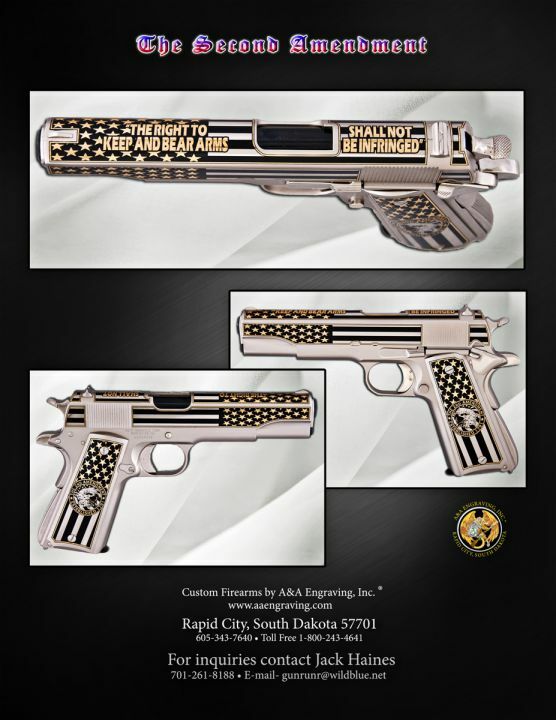 Includes: Original Thompson box w/paperwork, signed Certificate of Authenticity. Handmade oak display case available to order. Finish: Classic blued finish with high polish nickel detailing. 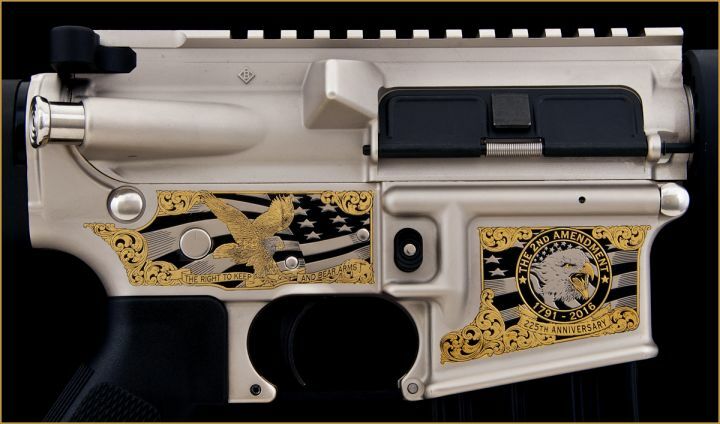 Polymer frame. 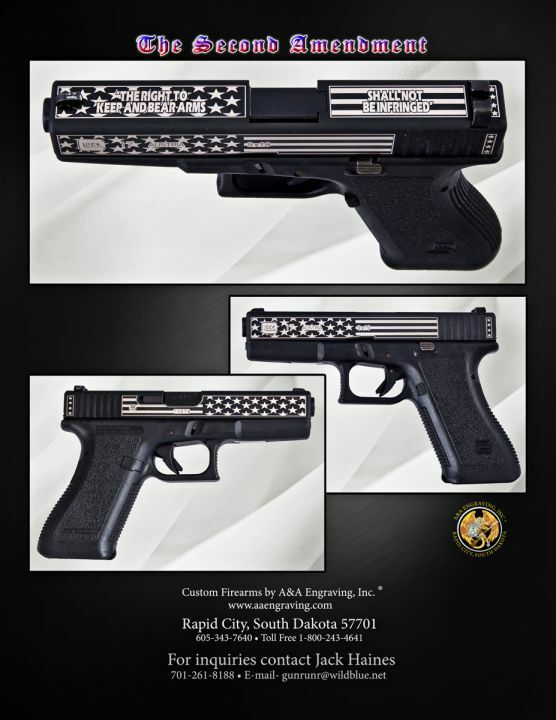 Includes: Original Glock box w/paperwork, signed Certificate of Authenticity. Handmade oak display case available to order. Now you can own your very own Zombie Pinhead tee or hoodie. While supplies last. Call now for Christmas delivery.